This “sour golden ale brewed with mango, chili, sea salt, and natural flavors and aged in oak barrels” from Colorado-based Paradox pours a dark burnt orange with a big-bubbled, hazy sliver of foam that all but disappears upon impact with the glass. 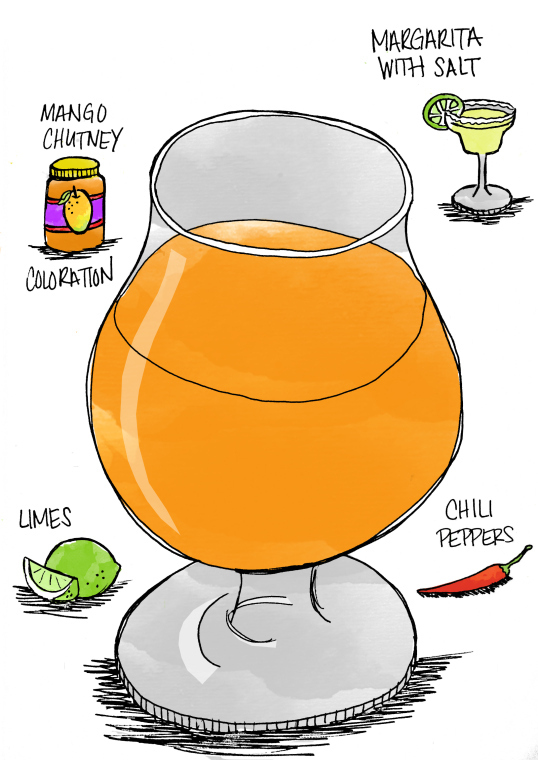 The nose offers a sour-y aroma of tart fruits, melons, Pixie Stix, and just a whiff of heat from the chili. I got a lot more than a whiff of chili on the first swallow, although the lingering burn is balanced well by a salty finish. More tequila-like lime and cantaloupe and green apple come through than the promised mango flavors, but it’s all nicely rounded out by mouth-coating wine tannins, with the salt continually beckoning you back for another sip. As is the case with most “hot” beers, a little bit of Skully Barrel No. 26 goes a long way, so splitting a 16.9 oz. bottle between two people is just about perfect. 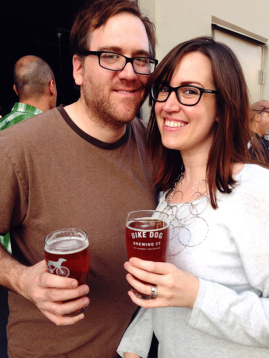 Daniel Barnes and Darcey Self-Barnes have been blogging about craft beer at His & Hers Beer Notes since January 2012. Darcey is a freelance designer and illustrator, and Daniel is a film critic for the Sacramento News and Review and a member of the San Francisco Film Critics Circle. This entry was posted in Columnists, Drink, Drink: Beer and tagged beer, Daniel Barnes, Darcey Self-Barnes, His and Her Beer Notes. Bookmark the permalink.